At least two illegal workers formerly employed by Trump businesses will be in the House gallery for the president’s State of the Union address Tuesday night. That’s two more good reasons for Mr. Trump and Congress to insist on a mandatory E-Verify employment screening law. Courtesy of Democrats eager to make hay over illegal aliens on the payroll at Trump’s National Golf Club in Bedminster, N.J., Victorina Morales and Sandra Diaz got reserved seats for the president’s speech. 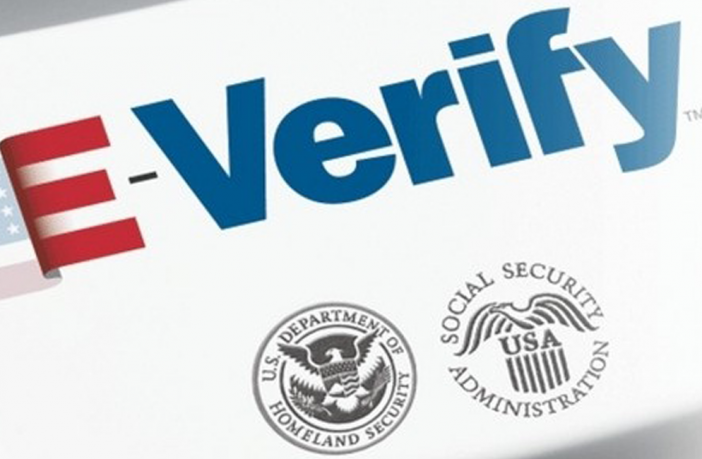 The Washington Times reported last month that just five of the 565 companies in the Trump Organization were signed up for the government’s E-Verify online vetting system. Attempting to improve the optics, the Trump companies announced they will start using E-Verify to weed out workers who are in the country illegally. 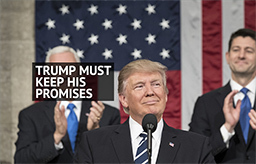 “We are actively engaged in uniforming this process across our properties and will institute E-Verify at any property not currently utilizing this system,” said Eric Trump, executive vice president of the Trump Organization. Trump’s son blamed illegal aliens for submitting bogus paperwork that enabled them to be hired in the first place. His concern is legitimate. Counterfeit and stolen documents are widely used by illegal aliens to secure employment under false pretenses. This makes the case for E-Verify even stronger, and Trump & Co. should have put this tool to use long before now. “Much embarrassment for businesses and hardship for workers could be avoided if E-Verify were mandatory and only legal workers employed by all employers,” notes Roy Beck, president of NumbersUSA. 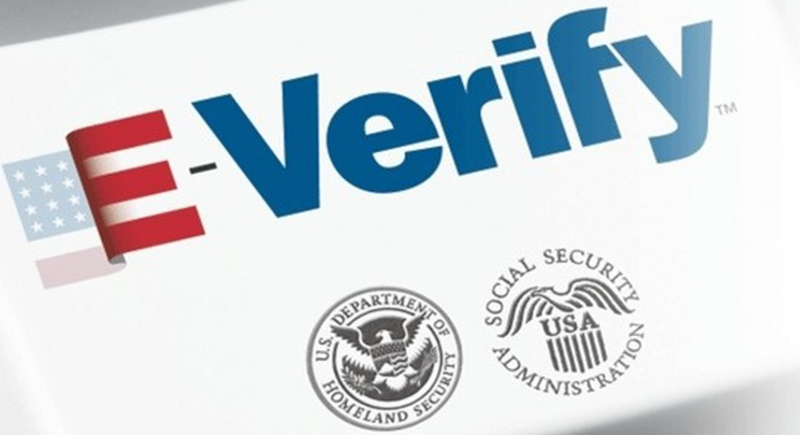 Research points to E-Verify’s effectiveness, with one study finding steep declines in illegal alien populations where the program was mandated. Indeed, E-Verify is key for any serious negotiations on immigration and border security. 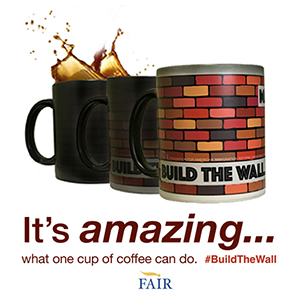 So it’s time for politicians on both side of the aisle to stop grandstanding and put E-Verify to work. Shut off the illegal jobs magnet, and illegal immigration will wane while American workers gain. 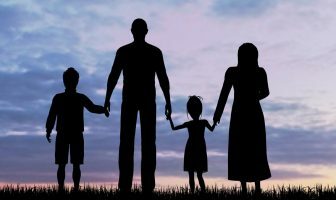 WHY will Congress not pass “E-Verify” as a simple “stand alone” bill? Numbers USA, and “FAIR” are complete failures in being lobbying groups to get Congress to do even this! Even when the REPUBLICANS had BOTH houses of Congresss, this simple legislation COULD NOT GET PASSED! WHY NOT? Probably because there were too many Democrats want-to-be’s filling Republican seats, such as McCain, Flake, etc. Those two alone caused much of Trump’s inability to accomplish anything. And yet there is NO PROSECUTION of Trump for EMPLOYING THE ILLEGALS TO BEGIN WITH? WHY NOT? This is why Republicans are as negligent as Democrats on immigration! Republicans want the illegals for employment exploitation! Democrats want them for future votes! Trump does NOT NEED Prosecuted…. The Specific Companies THAT HIRED These CRIMINAL ILLEGAL Aliens SHOULD BE PROSECUTED! Thus, we need E-Verify. 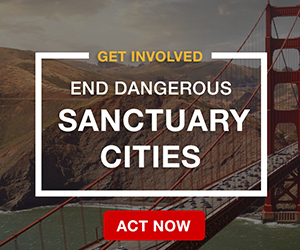 As a Spanish Translator- I have personally heard EVERY Criminal ILLEGAL BRAG About how to Take Advantage of these Kind but Dumb Gringos, how to Obtain 5-7 False SS#’, Driver’s Licenses, Obtain Food & Housing Benefits & Tax Credits FOR Their Children- while Stealing Our Jobs from me (bypassed for 35 years! ), and Stagnated Wages, Back-logged ER & Urgent Care facilities with these CRIMINALS Getting a FREE RIDE on My Back!!! Very SICK OF THIS!!! America’s Constitution is now Mother Goose Fairy Tales? The I-9 process is ridiculously flawed. Thanks to regulations pushed by both Democrats AND the Cheap Labor Lobby, employers cannot question the validity of any “documents” presented to satisfy the I-9 requirements. Laughable fakes are routinely provided. An employer who would reject such forgeries can face criminal prosecution for “discrimination.” In a sensible system, the employer would refer these cases to the DoL or DHS for follow-up. The alien would be arrested and deported.